Constitutional Lawyer and pro-democracy activist, Dr. Tunji Abayomi, has stated that ”the great tragedy in Nigeria” is that the country’s constitution is illegal. He stated this today when he featured on TVC News Nigeria’s ”This Morning” programme. He explained that since the military government gave itself legislative powers to make laws through decree 1 of 1984, the same military couldn’t have given Nigeria a constitution. Dr Abayomi added that what exists as a constitution emerged through decree 24 of 1999 which came into effect on 29 May 1999, after all the governments in Nigeria had been created. According to him, ”it is not a constitution that brought about the national government. A national government had come into existence before the constitution, yet every constitutional expert knows that it is a constitution that gives a nation a government. It is not a government that gives a nation a constitution.” He explained that a constitution is validated by the procedure of making it, not by its content. When Yori Folarin, the anchor of ”This Morning” conjectured that the National Assembly could be empty if the idea of a legislator earning just twenty (20) times Nigeria’s minimum wage gets enacted as law, Dr Abayomi responded that this justifies why Nigeria needs a constitution of the people by the people and for the people. While most callers on the programme condemned the National Assembly for initiating the process of another constitutional amendment, Ola, a caller from Abuja, supported the Legislators, noting that it is within their rights to amend the constitution, since the APC-led government has distanced itself from the outcome of the Constitutional Conference of 2014. Dr Abayomi replied that the constitution has been amended thrice by this same National Assembly at high cost to the nation. He said ”if they continue like that, within a period of twenty (20) years, they would have amended the constitution twenty (20) times”. Meanwhile, the Constitutional Lawyer also spoke about State Houses of Assembly in Nigeria, stating that they are not effective. He said: ”They just exist in name. They are just an appendage of the Governor. In this country, the Houses of Assembly are just another department of the Executive Governor of the several states of the Federation”. 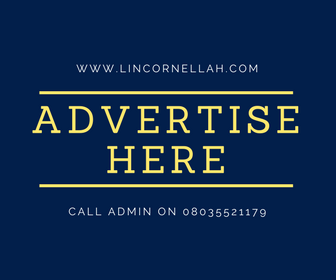 Lincornellah’s blog is watching out to see and report if the National Assembly or any State House of Assembly in Nigeria would publicly respond to Dr Abayomi’s position.